Although Southeast Asia is evolving with modern times, the natural charm and beauty of the parks stand out as being one of the greatest attractions of the country and a great reason to book Cambodia tours. Take a look at our guide to the beautiful national parks of Cambodia and let your adventure begin! Ream National Park is a pure delight in Cambodia and offers remarkable mini adventures due to its coastal location and natural wonders. There are so many different aspects to Ream National Park, such as its misty jungles and coastal mangroves, and snorkelling, dolphin watching and safari opportunities – there is something for every traveller. For those fascinated with birds of prey you will have the chance to seek the white-bellied sea eagle and grey-headed fish eagle, amongst a whole load of other mammals and creatures native to Cambodia. But if you are looking for a relaxed and laid-back experience in one of Cambodia’s beautiful national parks, Ream is the place to do it. 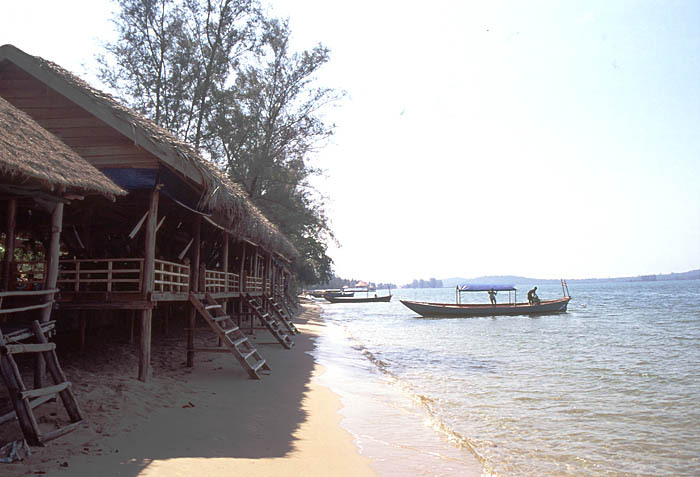 As it is located within the Prey Nob district of the Sihanoukville Province bordering the Gulf of Thailand, it is home to gorgeous sand beaches and coral reefs. So whatever way you choose to spend your time at Ream National Park, you will be in for an absolute treat. 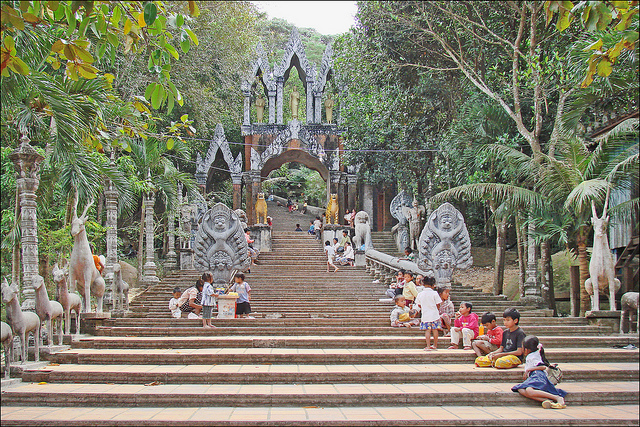 Translated as “Happy Mountain”, Kirirom National Park is a pure delight in the Phnom Sruoch District. It was the first officially designated park in Cambodia and is home to magnificent cascading waterfalls and lush green flora with trails leading through the pine forest. If you don’t feel like taking the trails by foot, there are great opportunities to see the park by bike, but either way you won’t be short of spectacular sights. From the highway it’s a 10km road to a small village near the entrance and you have two choices from there; the left path takes you 50 metres to the park entrance or you can take the right fork for a 17km hike up a fairly steep sealed road to the unmanned Kirirom Information Centre. There are a variety of leisure activities to take part in, including fishing, horse riding and canoeing, plus you’ll have the opportunity to see Asian elephants, spotted linsangs and leopards. Kirirom National Park is a diverse attraction for everyone to enjoy. Our Around Cambodia tour explores this stunning national park. Popular for its magnificent waterfalls and religious values, Phnom Kulen National Park is situated 48 kilometres from Siem Reap and is steeped in historical significance. 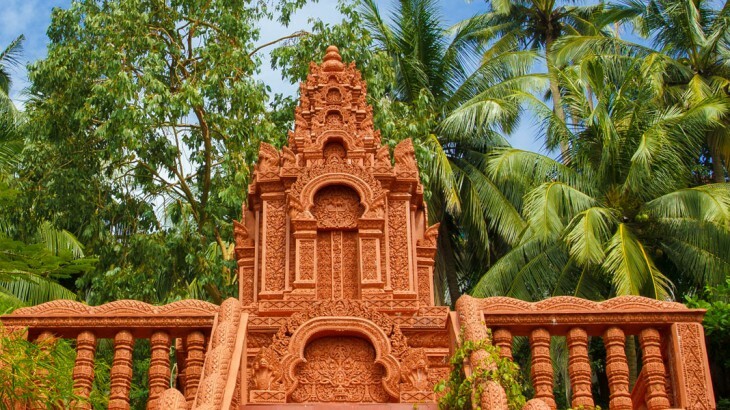 Phnom Kulen is the origin of the famous Khmer empire of the 9th century and is home to magnificent sculptures, temples and ruins that are several centuries old. Untouched parts of the park allow for a truly unique experience in one of the most cultured parts of Cambodia and the rivers and waterfalls that run through the area add a sense of tranquillity and awe. If you want to see something spectacular, then head over to the archaeological site of Kbal Spean, translated as the “River of a Thousand Lingas”. Here you will find sandstone carved river beds and sculptures dating back to the 11th and 12th centuries. 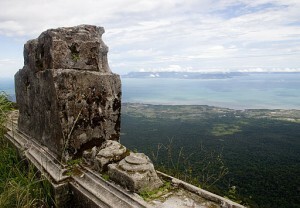 High up in the Damrei Mountains in the Kampot District you will find Phnom Bokor National Park. Described as once being a thriving small resort town, Bokor is now considered a mystical adventure thanks to its ghostly and abandoned structures. With its cool mountain air and, on a clear day, views of neighbouring Vietnamese island Phu Quoc and some of southern Cambodian islands, it is easy to see why Bokor is a stunning, mountainous delight. Famous for its once French casino, an abandoned and gothic-looking building stands tall in the heart of Bokor National Park and is an eerie sight for the avid trekker – a must-see for all. If you head deeper into the jungle there are a number of signposted trails that tail off of the main winding road. 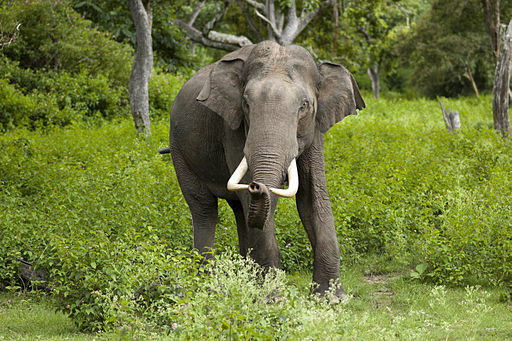 The untouched tropical mountain jungle is also home to the largest herd of wild Indian elephants in Southeast Asia, as well as tigers, leopards and the Asiatic black bear. Being one of only two Association for Southeast Asian Nations (ASEAN) Heritage Parks, Virachey is an unprecedented attraction in Cambodia. Situated in the upper northeast area of the Ratanakiri province which borders Laos and Vietnam, Virachey allows for unique, breathtaking views of the land that surrounds it. Temples, magnificent statues and carvings stand tall and proud in and amongst the secluded jungle and wildlife tracks. 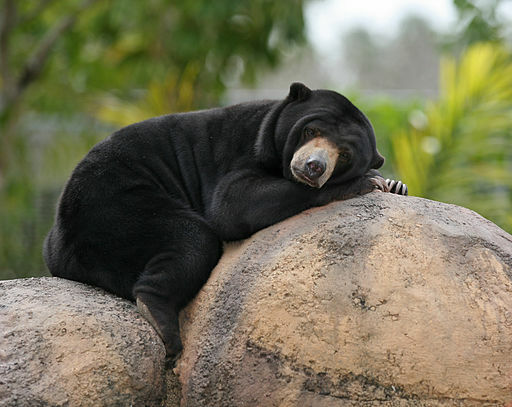 Just like many of the national parks in Cambodia, Virachey is home to rare animals including the endangered gibbon, great hornbills and sun bears. For those who like to be challenged with more of an adventure to stretch their legs, there are a number of rivers and local hunter tracks to be explored. It is always recommended you get the advice of the locals before setting off. As well as being able to cool off under the gentle waterfalls that run down the mountainous range, there is also an opportunity to delve deep into the indigenous communities and engage with the people of the jungle with specialised tours. Virachey National Park is definitely one of Cambodia’s natural gems. Kep National Park is definitely one for the adventurer. With a five-mile winding trail through mountains looking over the sea and abandoned temples to explore, it is a fantastic area within Cambodia that you won’t want to miss. As well as the main five-mile trail, there are several main signposted treks that will take your breath away, not only with stunning views but also the workout that you will gain from completing it! We would recommend that you take the shorter walks first and go back to the longer ones if you have time as it is easy for first-time walkers in Kep to underestimate the time it takes to finish the trails. 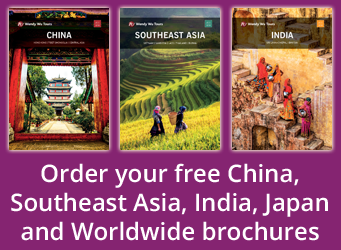 Book a holiday to Cambodia with the UK’s leading Asia Experts, Wendy Wu Tours. Our award winning escorted, fully inclusive tours visit all the major sights of Cambodia for an unforgettable holiday. Cambodia nature, sightseeing, top things to see, tourism, unesco heritage site. permalink.